This is my game for Ludum Dare 29! 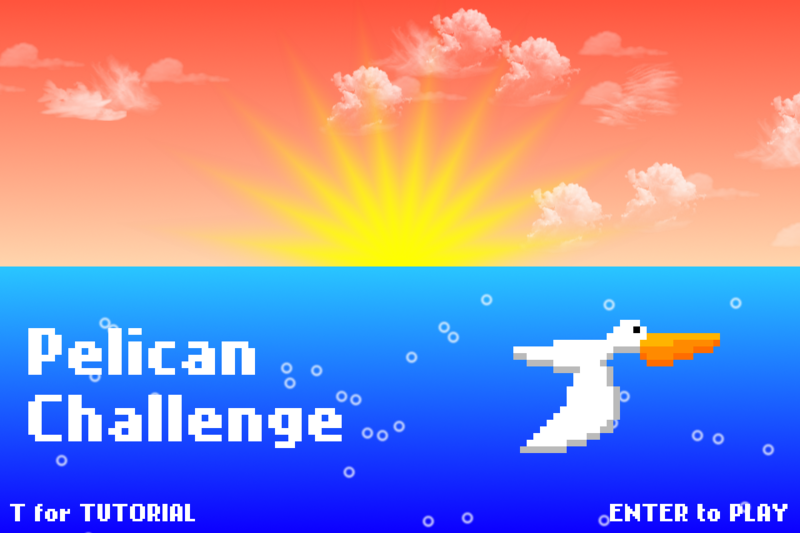 In Pelican Challenge you have to dive into the water to catch as much fish as possible within one minute! As always, the code is available on GitHub here. See my Ludum Dare entry here (please rate my game!). Click the game to give it focus. Dive to catch fish. If you dive from further up, you dive deeper. Normal fish give you 1 point, the larger ones give you 2. If you hit a jellyfish, you loose 5 seconds of your precious time, but you get 5 additional ones if you catch a pink fish. An HTML page containing only the game is available here.